The research department of Key Media & Research conducts in-depth business research for a variety of industries, including: architectural glass and glazing; doors and windows; automotive glass; and more. 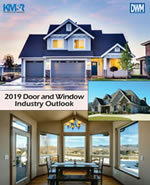 Key publishes information-packed annual and bi-annual industry outlook reports for these markets. We use survey data from our network of many tens of thousands of companies, as well as focused analysis of the most relevant economic indicators available, to help businesses at all levels of the industry gain a complete picture of the market they service. 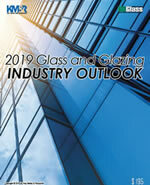 Reports such as the Glass and Glazing Industry Outlook are used by some of the largest glass fabricators, contract glaziers, suppliers and manufacturers in the U.S.
Our research division conducts customized projects for individual businesses, targeting specific segments and/or regions to give them a precise pulse on what’s happening in their area of the market. Whether you’re a fabricator seeking a better understanding of what building sectors are heating up, a contractor trying to get a handle on the local labor situation, a manufacturer looking to evaluate brand awareness in the market, or a supplier in need of comprehensive customer service feedback, KMR can fulfill your needs. Director of Research Nick St. Denis is available for state-of-the-industry presentations for industry events and private business meetings. Key also provides consulting for businesses up and down the supply chain, as well as for prospective investors seeking to learn more about the glass industry. With any inquiries, contact Nick St. Denis at nick@keymediaresearch.com or call 540/720-5584. Nick St. Denis is KMR’s director of research. He previously served as the research editor of the company’s trade publications in the architectural, residential and automotive glass industries. Nick has a bachelor’s degree in journalism from the State University of New York at Plattsburgh and is currently completing a master’s degree in survey research at the University of Connecticut.